I have just recently tried the free trial of ALOHA’s ‘The Daily Good’. It is a dried green juice that you can use however you like. It is a perfect smoothie add or you can make it into a quick drink. My favorite way to drink it is mixed with almond or coconut milk and two teaspoons of matcha green tea powder then pour over ice to make a perfect iced latte. It is refreshing and energizes you. I enjoy it after a morning workout or as a mid-day snack. 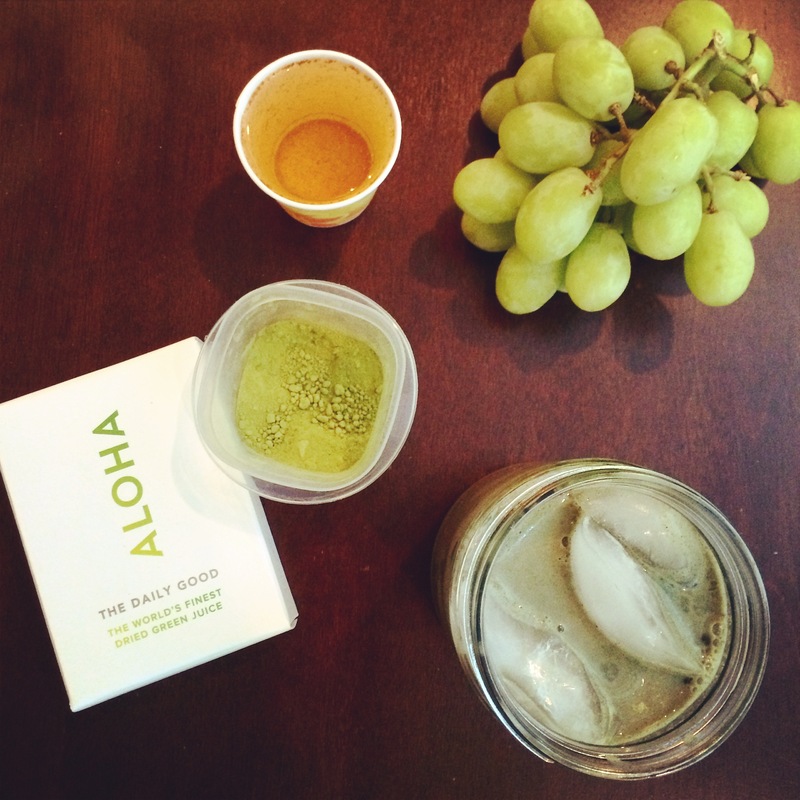 You can buy ALOHA products as you please or you can sign up for a monthly subscription. I highly recommend this product for anyone looking to jump on the green drink bandwagon. You can find Matcha green tea powder on many health websites or at Whole Foods Market.